My green card expired. Can I renew it? QUESTION: I am a US permanent resident. My green card expired five years ago and I did not renew it, but I have not left the US since it expired. How do I go about fixing this issue? THE IMMIGRATION ANSWER MAN – ARI SAUER: What you need to do now depends on whether you had a 10-year green card or a conditional 2-year green card. If you had a 10-year green card then you need to file an application to renew/replace your permanent resident card. Even though your green card card expired, your permanent resident status did not expire. You are still a permanent resident, you just need to renew the card so that you can prove that you are a permanent resident. If you had a 2-year conditional card then you are in a more complicated situation, as you had a requirement to file an application to request that the condition be removed from your residence during the 90 days before green card expired. Failure to do this could have resulted in USCIS revoking your permanent residence. Usually this situation is fixable, but you definitely should hire an immigration lawyer to assist you in correcting the situation. Once the situation with your green card has been fixed, you should also look into whether you are eligible to apply for naturalization to become a US citizen. That way you don’t have to worry about remembering to renew your green card in another 10 years. schedule a consulation appointment with an immigration lawyer. My office is in Memphis, TN, but I am available to consult with clients by phone and I represent clients throughout the U.S. and around the world. * This is an advertisement. Attorney Ari Sauer is an immigration lawyer with the Memphis, Tennessee office of the Siskind Susser law firm. www.visalaw.com/ari.html. On this blog we answer questions as a service to our readers, but we cannot assume any liability related to reliance on anything herein, and responses to questions are not intended to establish an attorney-client relationship. Immigration laws and regulations are constantly changing and the rules stated may not apply to your situation. Readers are cautioned to schedule a consultation with an immigration lawyer before acting on anything stated in this blog. This blog is not intended to substitute for a consultation with a qualified immigration law attorney. Ari Sauer is licensed to practice law through the states of New York and New Jersey. Certification as an Immigration Specialist is not currently available in Tennessee, New York or New Jersey. Siskind Susser limits its practice strictly to immigration law, a Federal practice area, and we do not claim expertise in the laws of states other than where our attorneys are licensed. Standard consultation fees apply when scheduling a consultation appointment with Ari Sauer or another attorney at Siskind Susser. Hi, Sir my US resident alien card has expired in 2003 i did not know about it because i am 10 years old than can i apply to renew it now? If you had a 10-year green card, then as long as you are still in the US, yes, you can file an application for a renewed green card, even though your card expired so long ago. If you had a 2-year conditional green card, it is a bit more complicated and you will definitely want to consult with an experienced immigration lawyer. Even if you had a 10-year green card, if you are outside the US and have been outside the US for more than a year, you will need an SB-1 Returning Resident Visa, assuming you are eligible for one, or you would need to reapply for a new immigrant visa all over again, if you have a basis to apply. If you would like to discuss this further, or you would like for me to represent you in applying for a renewed green card, you can call 901-507-4270, and my paralegal, Jessica, can help you to schedule a consultation appointment with me. Thank you sir for your reply sir i had 10-year green card but sir i am in Pakistan for more than 20 years now my age is 24 i have to complete my electrical engineering degree therefore i could not apply can i apply now? My green card expired in 2012 so its expired 5 years ago. I wasn’t in the U.S when it expired. can I renew it now? Hello Sir, i have a conditional 2-year green card green that expired in 2004 and i live in India, do i have any hope to reenter U.S? if yes what forms do i need to fill out. Please help. No. Unfortunately, you do not have any hope of reentering the US based on your conditional permanent residence 2-year green card that expired in 2004. If you would like to have a consultation appointment with me to discuss whether you may have other options for obtaining a visa to return to the US, you can call 901-507-4270, and my paralegal, Jessica, can help you to schedule an appointment. I am a permanent resident since 1963, I am 73 years old and my card expired in June 2014, and I want to apply for be a citizen, can I do that without renew my permanent resident card? Laura, USCIS’s current stance is that someone with an expired green card must file an I-90 to apply for a new card before they file their application for naturalization. But you are able to file the application for naturalization with the receipt notice from the I-90 and do not have to wait until you receive the new card to file for naturalization. If you would like my assistance with applying for the replacement green card or with applying for naturalization, you can schedule a consultation appointment with me by calling 901-507-4270, and speaking with my paralegal Jessica. Hi my green card expired in 2003 so its expired 13 years , my parents got it for me when i was young , can i get it renewed now or is it to late ? If the permanent resident is in the US, then the answer above still applies, even where it has been as long as 13 years since the expiration of the green card. * This is an advertisement. 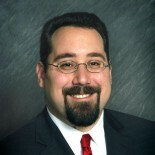 Ari Sauer is a Memphis immigration lawyer with the Siskind Susser law firm. http://www.visalaw.com/ari.htmlhttp://www.visalaw.com/ari.htmlhttp://www.visalaw.com/ari.htmlhttp://www.visalaw.com/ari.html. On this blog we answer questions as a service to our readers, but we cannot assume any liability related to reliance on anything herein, and responses to questions are not intended to establish an attorney-client relationship. Immigration laws and regulations are constantly changing and the rules stated may not apply to your situation. Readers are cautioned to schedule a consultation with an immigration lawyer before acting on anything stated in this blog. This blog is not intended to substitute for a consultation with a qualified immigration law attorney. Ari Sauer is licensed to practice law through the states of Tennessee, New York and New Jersey but is eligible to assist clients from throughout the US. Certification as an Immigration Specialist is not currently available in Tennessee, New York or New Jersey. Siskind Susser limits its practice strictly to immigration law, a Federal practice area, and we do not claim expertise in the laws of states other than where our attorneys are licensed. Hi, here’s my situation. My conditional green card expired 5 years ago. My Husband just got his citizenship 2 years ago. What is the first step that I need to take? Diane, I don’t know enough about your situation to be able to answer your question. It may be that you need to file a petition to remove the condition from your residence. It may be that you should have your husband sponsor you for a new green card. Or it is possible that neither of these are viable options for you. Also, it may be that immigration has deported you (although this is the less likely possibility). It all depends on the specifics of your situation and your history. You should consult with an experienced immigration lawyer to determine the best option for your specific situation. My friend currently lives abroad and had a GC (10-year green card), which expired 2years ago. She would like to get American citizenship, so she wants to renew her GC. But the thing is that she’s been out of the US for about 8 years due to her family emergency. Is it still possible for her to renew her GC at the American Embassy near her place? She wants to move back to the states. Not likely. She can try but she would need to provide documentation to show the consulate that her trip was temporary and that it was because of the family emergency that kept her outside the US for 8 years, 2 of which were after her card expired. That would have to be one heck of a family emergency. But abandoning ones green card does not stop someone from applying over again for the green card. But they will need an immigrant petition just like they did before. You can call 901-507-4270 to schedule a consultation appointment with me to discuss this further or to discuss whether there are potential visa options for your friend. As explained in the article above, it depends on what kind of green card you had. Assuming you had a 10 year card, you would file an Application to Replace Permanent Resident Card. If you would like assistance with filing this application or if you would like assistance to apply for US citizenship so you don’t have to worry about losing your green card in the future, you can contact my office at 901-682-6455 to schedule a consultation appointment. Standard consultation fee applies. i lost my green card and cannot recall if i ever renewed it myself i dont think so what documents do i need to renew it? This entry was posted on August 19, 2012 by Immigration Lawyer Ari Sauer - The Immigration Answer Man in Permanent Residence and tagged Green Card, I-751, I-90, Permanent Residence.